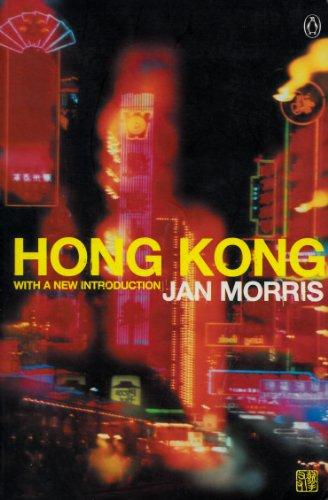 The 1997 edition of Jan Morris’ well-loved, and re-issued Hong Kong book was updated just before the handover of the former British colony to the Chinese government. The new section attempts to deal with the emotions of the residents of this anomalous state on the eve of their migration to another government. The 2000 edition has a new introduction. The majority of the book presents a remarkable picture of Hong Kong past and present as Morris weaves the views and street scenes of today into the colony’s history. From ignominious beginnings as an opium port, Hong Kong has been based on one thing: money. Entrepreneurialism has always been rife, yet interlaced as it is with more traditional Chinese cultural concepts such as feng shui, capitalism Hong Kong-style has always been slightly different. Morris’ descriptions are, as ever, lucid. Some like her prose style, others find it ingratiating at times, and certain passages in this book are a little cloying. But overall, the quality of her research, observation and empathy for Hong Kongers comes across. Governor after Governor come under her writer’s knife, and few emerge unscathed by the process. Yet all the while that she elaborates on how Hong Kong has survived and prospered under its colonial rulers, she never lets us forget that from its earliest days, this is a Chinese city, with a Chinese population dwarfing all others. As a work of historical reference on Hong Kong, this has to be one of the more pleasurable to read. As a work of contemporary comment on a state in transition, it has to be one of the most grounded and apolitical. < Overall verdict: Insightful and colourful take on what makes Hong Kong special.